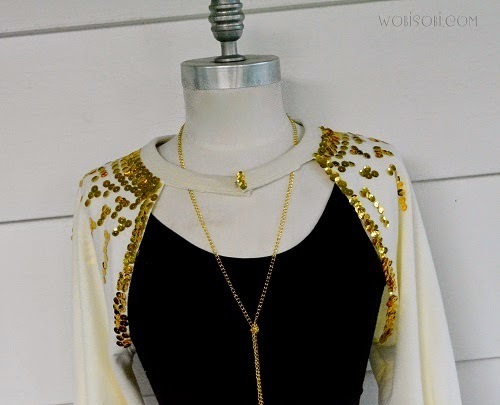 iLoveToCreate Blog: Sweatshirt Sequin Bolero. from a previous project just sitting in my scrap bin for about 8 months. I always want to recycle them. 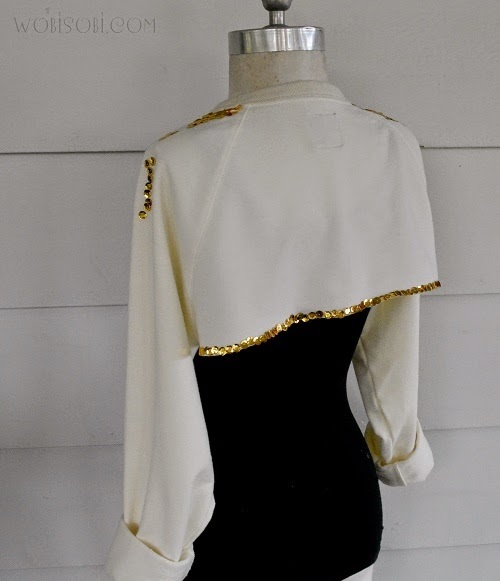 boleros to keep my shoulders and arms warm. I thought this would be perfect project. Come and see how easy it is to make. under the arms, leave the arms intact. 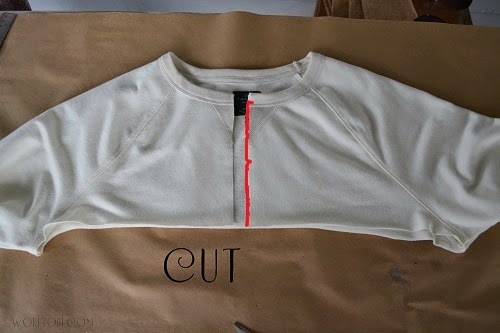 Cut a straight line in the middle of the shirt. 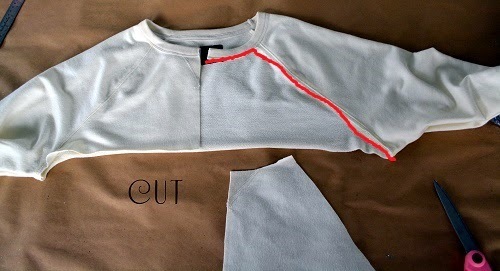 Cut out the section of the sweatshirt at the arm seam and around the collar. 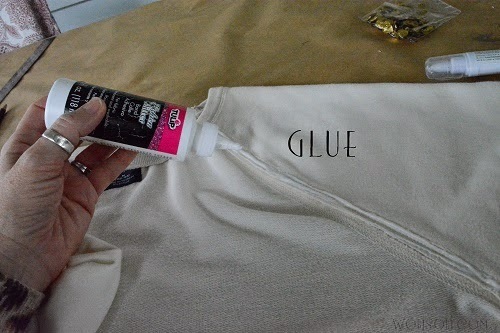 Glue down the seam and start adding your sequins. 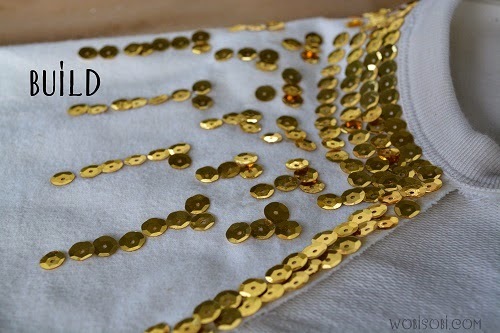 Build your sequins until you get the desired look you want. 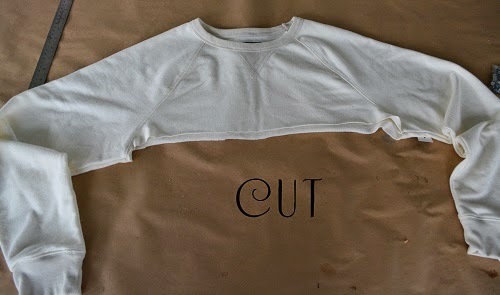 Let this dry 24 hours before wearing. 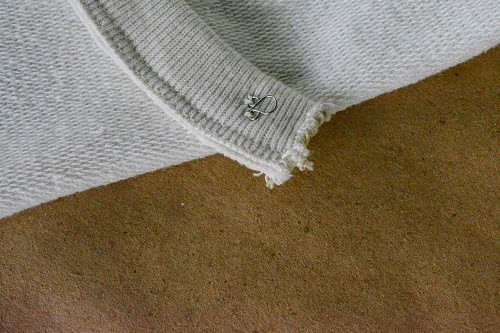 48 to 72 hours before washing. 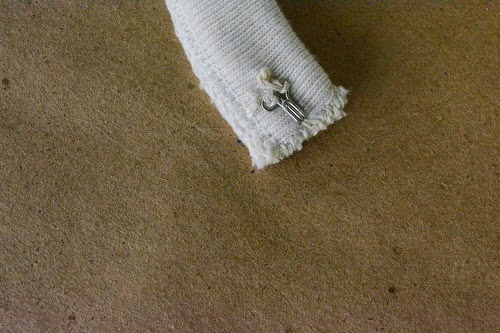 I sewed a hook and eye on the neck strap to hold it together. 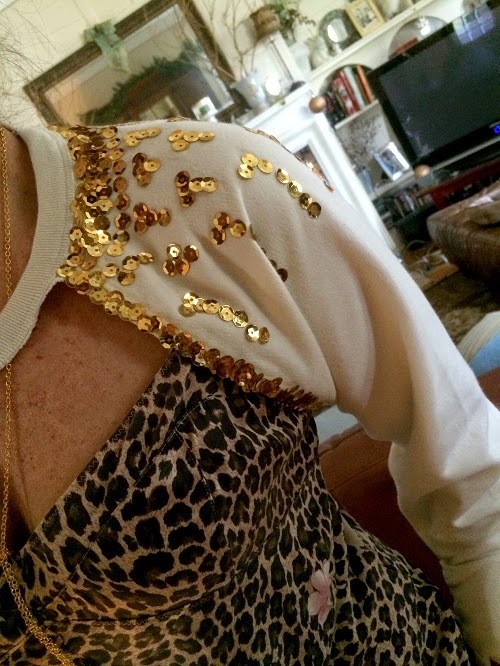 and I added a few more sequins in the middle of the neck. 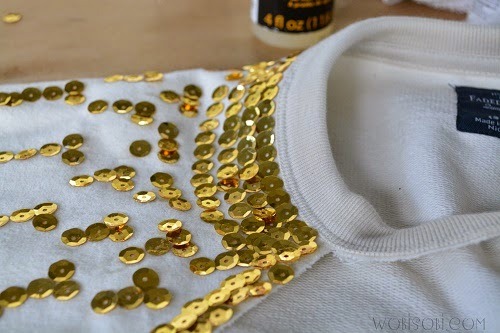 I also glued a line of sequins on the bottom of the back. Wear with your favorite tank top or strapless dress. Recycling a misfit scrap once again. Love this idea! 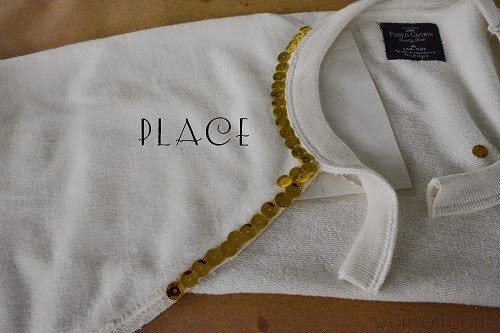 What a great idea for using a sweatshirt! love it!! and i love the necklace- where is it from? Awesome!! 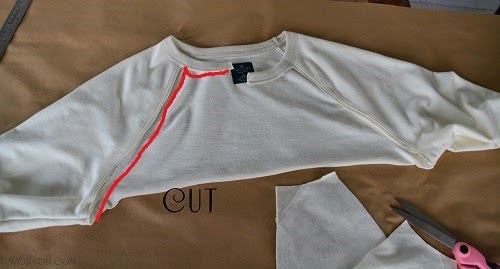 I am always looking for a little something to keep my shoulders warm without adding lots of bulk!! 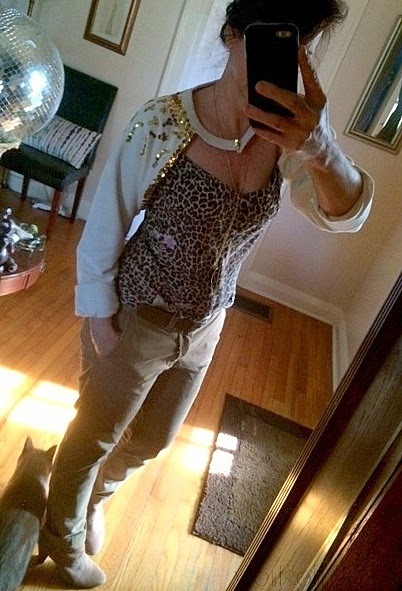 Hubby and son better hide their sweatshirts cause Mama is going to be a bolero makin' fool! LOL Thanks for the inspiration!